Arbor Care is a family owned tree specialist business. We have been providing Tree Planting Services for the last 30 years. Feel free to call us for any kind of tree planting help. We are famous for our landscape design work, if you have bought new property and are looking for your dream landscape design with your desired trees in your garden or somewhere else . We will make your dream come true! We offer tree transplanting services as well. 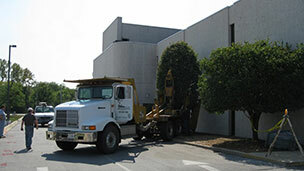 If you want to move your tree to your new location, we will do it for you. Proper tree transplantation and strategic tree placement can help you get your tree at your desired location. Feel free to call us (815) 469-6061 for all your tree plantation needs.